Power and enterprise users can now make it possible for their visitors to register with their BlueMelon accounts. The registration can be enabled for the whole account or for specific albums only. The registration can be mandatory or optional and the registration form consists of a heading and a message. During the registration you can request any of the following : name, e-mail, phone number, and answers to three custom questions. 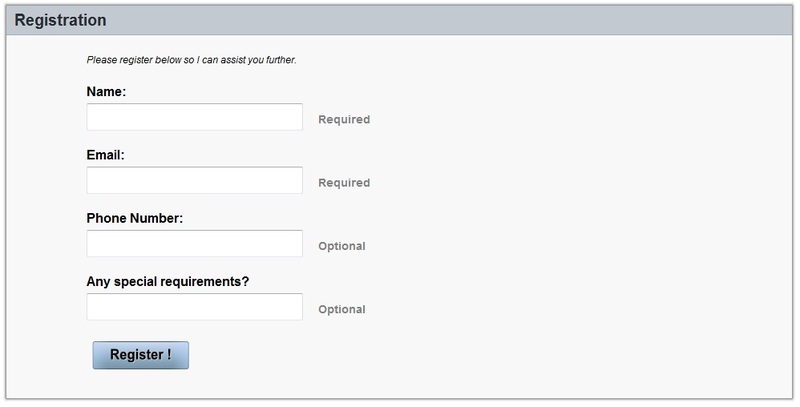 Each of the fields can be required, optional, or hidden. You can also set up notifications so that you receive an e-mail every time someone registers with your account and you can have their e-mails automatically added to your BlueMelon contact list. After your visitors have registered, they can view your photos if the registration is mandatory. Once someone has registered, you can see them from the "My Stuff" >> "Visitor Registrations" page. On this page, you can see all of your registered visitors, their details, and the photos that they have marked as "liked". You can also add visitors' e-mail addresses to your contact list or remove registrations.